Your plumbing system is one of the essential parts of your home. Don’t let a simple problem compound into something greater than it needs to be. 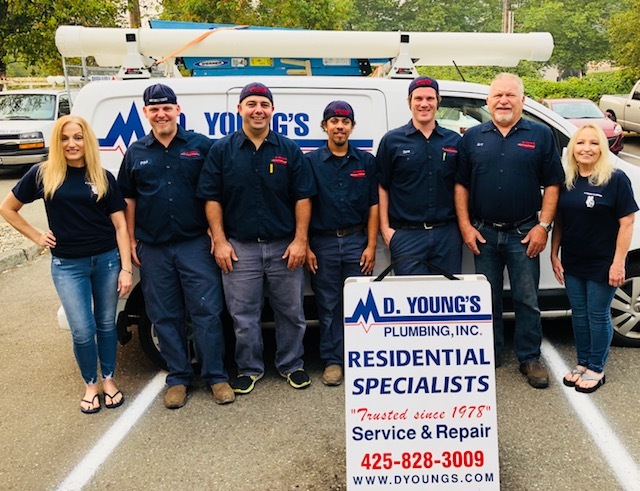 When you need service and you need it fast, call D. Young’s Plumbing Inc.
By using a professional, licensed plumber to install and repair your plumbing, you can rest assured knowing the job will be done right the first time. Our team has been dedicated to offering you quality service since 1978 and looks forward to many more years to come.